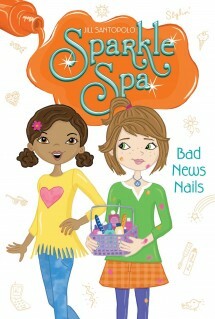 Trouble is coming to the Sparkle Spa, in the form of Aly Tanner’s worst nightmare: her arch rival since kindergarten is joining the salon! Know-it-all Suzy Davis has plenty of ideas about how the nail salon should be run and isn’t shy about telling the sisters what to do and how to do it. How can Brooke and Aly get Suzy out of their hair—and their business?